A monthlong inspection of companies run by well-known IT entrepreneur Yang Jin-ho revealed numerous violations of the law, the Ministry of Employment and Labor said Wednesday. The probe also found bizarre examples of workplace abuse by Yang, including throwing a glass at an employee and forcing others to eat raw garlic. Yang, the chief of several local online storage service companies and robot developer K-Technology, has been accused of brutally abusing employees at his companies after a video documenting his behavior went viral in October. In response, the ministry launched a special labor supervisory team Nov. 5 and inspected five of Yang’s companies over four weeks, collecting information from former and current employees. The team concluded that Yang had committed 46 illegal acts at all the companies combined, including assault, interruption of employment and delayed payment of wages. According to the ministry, Yang threw a glass of Coke at a worker who demanded a wage increase and obstructed a former worker at his company from being hired by another firm by giving a bad reference. Yang also delayed paying some 470 million won ($425,000) in wages, did not have employment contracts and inappropriately touched a female worker. During company dinners, Yang forced employees to eat raw garlic, drink beer and smoke cigarettes. He also coerced the workers into coloring their hair, according to the employees. 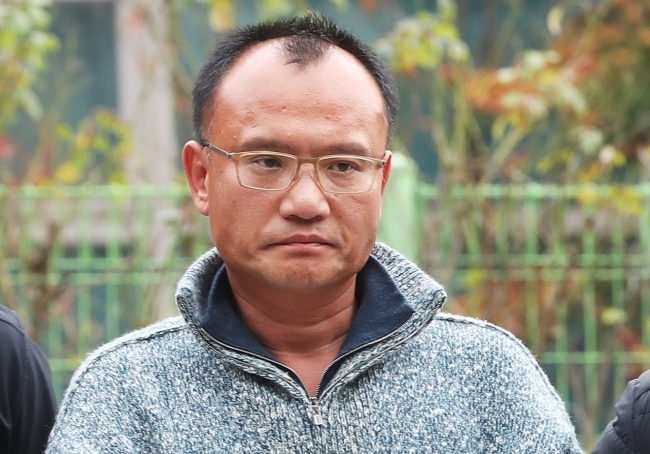 The ministry said it would refer Yang’s case to prosecutors. It will also impose administrative fines for sexual harassment, not concluding employment contracts and not conducting workplace safety education. “The ministry will carry out such investigations of any workplace where the superiors are suspected of using their power to abuse their employees,” Kim Kyoung-seon, a director of the general labor standards policy bureau, said Wednesday. In addition to the labor law violations, the tech CEO has been arrested and detained on multiple charges, including sexual harassment, smoking marijuana, animal abuse and allowing the circulation of illicit footage on his cloud storage services. Videos of Yang brutally slapping an employee on his head and face, forcing him to kneel and apologize and ordering employees to kill chickens with a crossbow and a sword to make chicken soup went viral, fueling controversy over abuse of power in the workplace.